We’ve seen a number of interesting projects lately that attempt to bring art from inside museums into the outdoors. 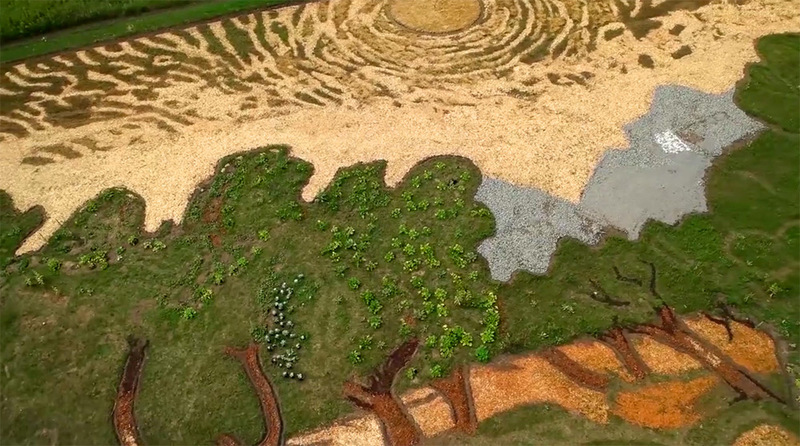 Artist Stan Herd has been doing just that for years by using fields as his canvas for both original compositions and interpretations of historical art. 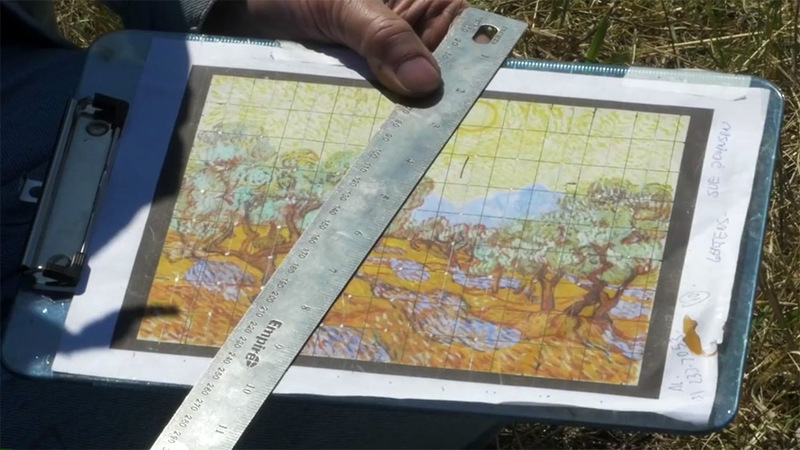 His latest work is a monumental 1.2-acre interpretation of Van Gogh’s 1889 Painting “Olive Trees” planted in Minneapolis. 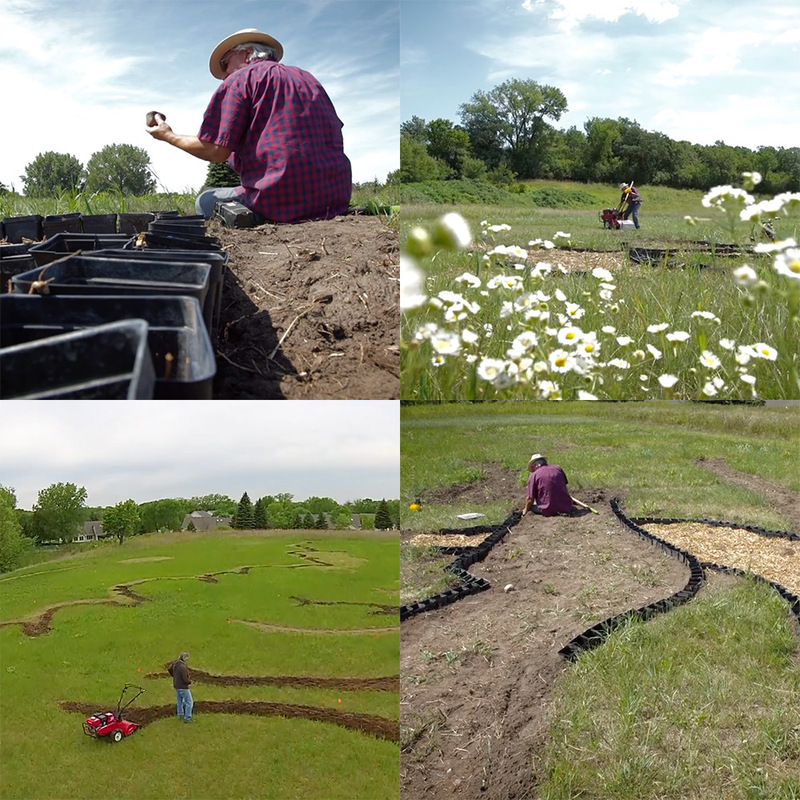 The piece was commissioned by the Minneapolis Institute of Art and involved weeks of mowing, digging, planting, and earthscaping to create the piece viewable from the air near the Minneapolis airport. If you happen to see the piece when flying into the city, you can head to the museum to see the real thing. Herd’s first outdoor land art piece (he refers to them as “earthworks”) was an ambitions 160-acre portrait of Kiowa Indian chief Satanta, that he physically carved into a Kansas prairie in 1981. He’s since created dozens of works around the world, and notably inspired Japanese artists in Inakadate province north of Tokyo to plant a series of incredible rice paddy artworks.